Hair accessories are a good way to make your hair appear more beautiful. 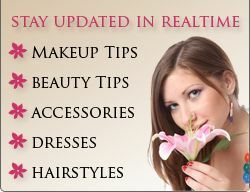 Different kinds of hair accessories are available these days among which you can select the best for yourself. These hair accessories consist of hair pins, headbands, hair clips and many others. Headbands are great hair accessory which would help to keep the hair intact. No matter what your hair length is or what type of your hair is i.e. either straight or curly, no worries as headband are for everyone. Among headbands, there are many choices available. There are different types of headbands available in the stores these days. Plastic headband is a common type of headband which is available and is suitable to be worn at anytime, anywhere. Sturdy plastic headbands which are made up of good quality of plastic and are thick in size, are a nice option to be opted for. Different designs for plastic headbands like flowers, stars, hearts and butterflies are available. If picking a plastic headband for a baby then the one with flowers is always a good choice and when selecting a plastic headband for teen, select one which has some 3D thing or has gems/rhinestones attached on it. After plastic headbands, braided headbands are common type which is opted for. If you want to go for hippie look, then braided headbands are worn. Different materials like fabric and leather can be used to prepare braided headbands. Branded leather braided headbands are always in-fashion and look very stylish when worn correctly. Leather material can be used to make simple headbands too. Simple and decent leather headbands which don’t have any braids are also available in the stores. Toothed headbands would give a zigzag appearance to the front portion of the hair. This is also one type of headband which comes in different varieties. Some are just plastic based while some other have elastic band which is used to fix the headband properly. Generally, most the headbands come in single layer form. But there are some which come in multi layer form and these are also a nice option which can be thought of. Two layer headband and three layer headband are the available options in multilayer headband, but 2layer headband is generally preferred one. Plastic headbands, leather headbands, skinny headbands are the types which are available in multilayer form. These multilayer headbands are also a great pick as they are gaining lots of familiarity these days. Getting a multilayered headband with objects like rhinestones or flowers would be a nice thing. Scarf can be used as a headband too. Generally, bandana scarf is used as this looks very cool and you will surely look stylish. You can use other cotton scarf and wrap it up to look like a headband. Scarves make great headbands of different size and can be paired with any outfit. Thus, this makes scarves versatile and these days they are also mostly picked to wear it as headband. Keep your hair open and these headbands would help you to keep the hair intact for much time. It is a good option to go with headbands which have 3D objects as these days they are considered as very fashionable. Pick any of these headbands and you will surely look beautiful and stylish.